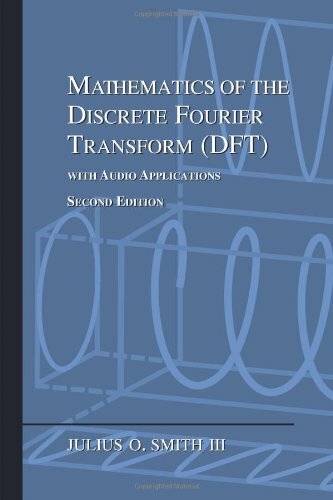 The DFT can be formulated as a complex matrix multiply, as we show in this section. (This section can be omitted without affecting what follows.) 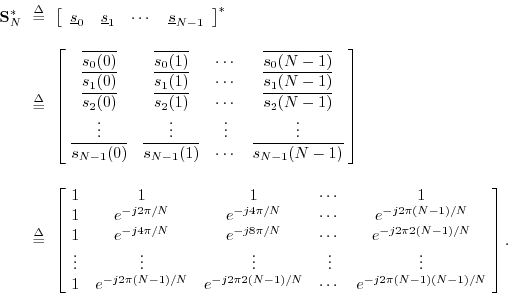 For basic definitions regarding matrices, see Appendix H.
The notation denotes the Hermitian transpose of the complex matrix (transposition and complex conjugation). Note that the th column of is the th DFT sinusoid, so that the th row of the DFT matrix is the complex-conjugate of the th DFT sinusoid. Therefore, multiplying the DFT matrix times a signal vector produces a column-vector in which the th element is the inner product of the th DFT sinusoid with , or , as expected. Computation of the DFT matrix in Matlab is illustrated in §I.4.3. This implies that the columns of are orthonormal. Such a complex matrix is said to be unitary. When a real matrix satisfies , then is said to be orthogonal. 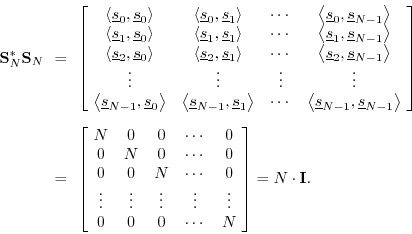 ``Unitary'' is the generalization of ``orthogonal'' to complex matrices.